Who wants to come to ‘Walkyland’ with me today? 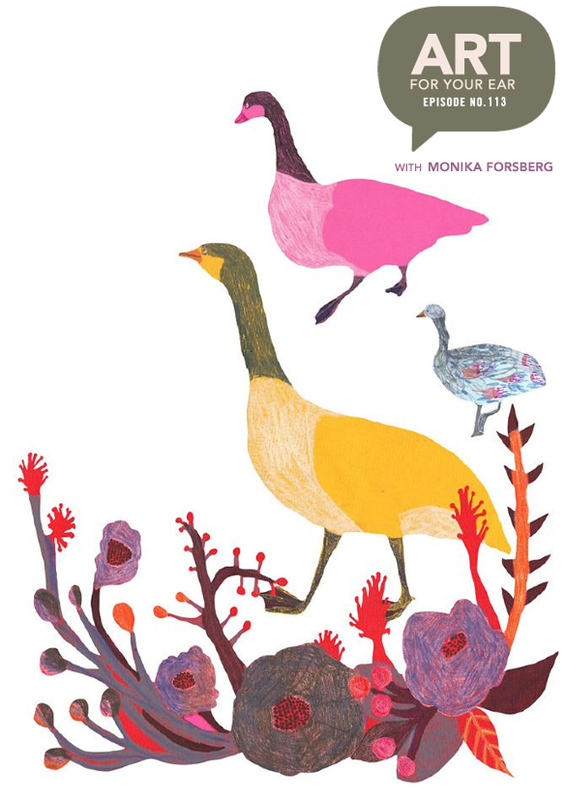 Yes, I’m so thrilled to be talking to Swedish born, London based artist and illustrator Monika Forsberg! You can listen right under those lovely ducks, or you can subscribe on iTunes. Not only was the turn-around time on that project insanely fast, she was also planning her youngest son’s birthday party over the same few days. And her oven was broken. Mummy needs gin, indeed. Ok, it’s official… I need one of those puzzles for the holidays this winter. No quetzalcoatlus, but that’s cool. And finally, last but not least… DUCKS! She was not kidding … she really does love drawing ducks. She said no one ever calls asking for ducks, but maybe they will now! Ah! 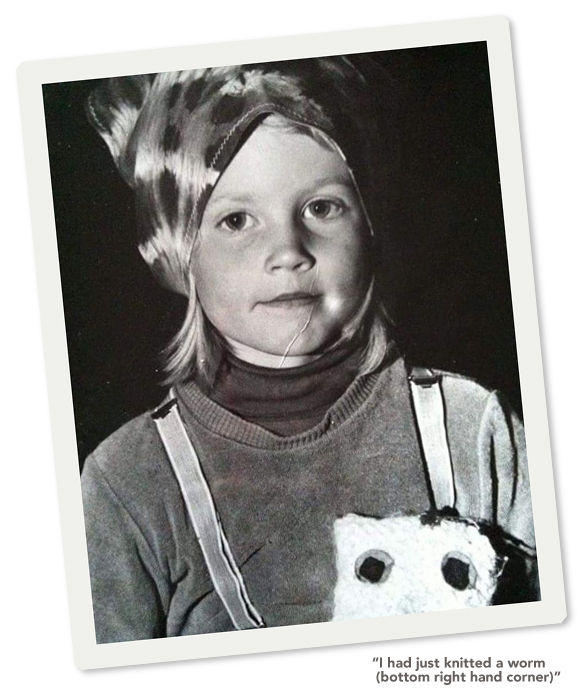 Little Monika in Northern Sweden, moments after “knitting a worm”. LOVE! Thank you so so so much to Monika for putting her phone anxiety aside for an hour so we could hear her inspiring story; thanks to Saatchi Art for supporting the episode; and of course thank you so much for listening. There will be more art for your ear next weekend. that was absolutely brilliant, just gold. thank you Monika and Danielle! I agree with Lisa’s comment above!! enchanting pretty much sums it up for me. I’m not a dinosaur person at all, but I lurve these (and everything else she creates)! I had been following Monika on Instagram for years, so was just wonderful to hear more about her. Thanks for a brilliant episode! I think this was one of my favorite episodes! The work is so whimsical, but dark-humored at times, and absolutely lovely. I have been trying to show Mummy Needs Gin to everyone I know. I really feel in love with Monika’s charm (I laughed so hard during this) and the way that she described being open to a job serving coffee because its fun and simple and it pays the bills while you’re working on your art hustle. As an artist in grad school, I really appreciate hearing that. My program is wonderful, but we don’t always hear about this side of it. I also really loved the way she talked about being a mum and being an artist. Oh Danielle – I should write after every podcast, and I apologize for letting that slide! Please know how much I appreciate you (and I’m obviously not alone). This one I totally loved — you both sounded like you were having so much fun talking to eachother – and I love Monika’s work. Ironically I had just ordered my granddaughter a butterfly card matching game earlier in the day — and low and behold — the illustrations are Monika’s! Thank you from the bottom of my heart for hours and hours of companionship when alone in the studio! Katy p.s. Those ducks are fantastic! p.p.s. 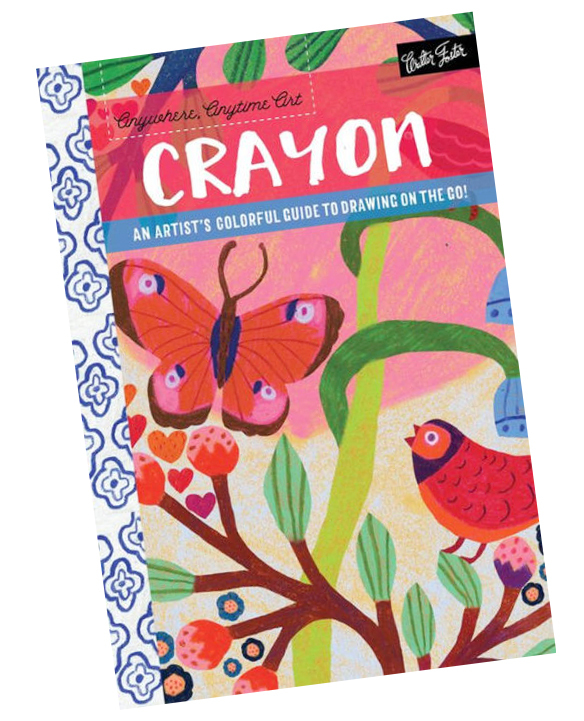 and I ordered Monika’s book for the mother of that granddaughter!